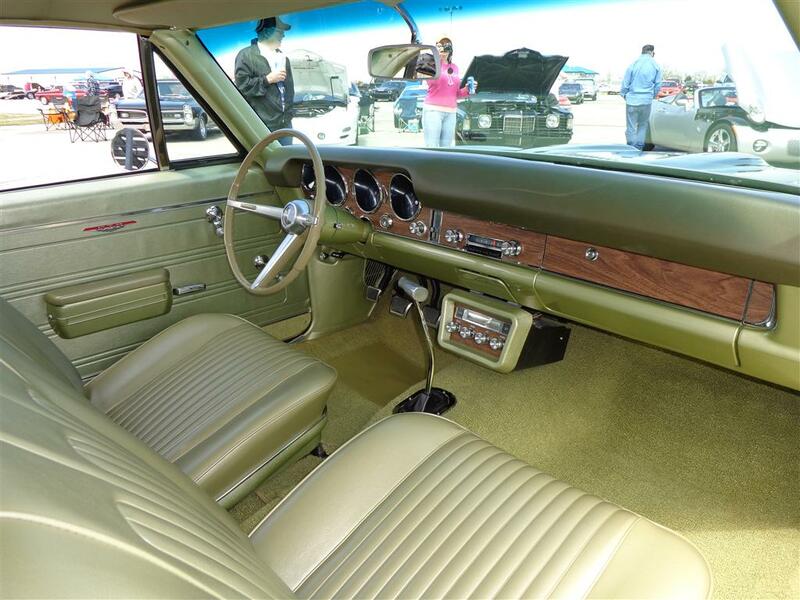 One of the Classic Pontiacs on display at the recent 2013 Tulsa Pontiac Nationals belongs to Jim and Mary Isbell of Owasso Oklahoma. Jim and Mary are members of the Indian Nations Pontiac Club of Oklahoma. 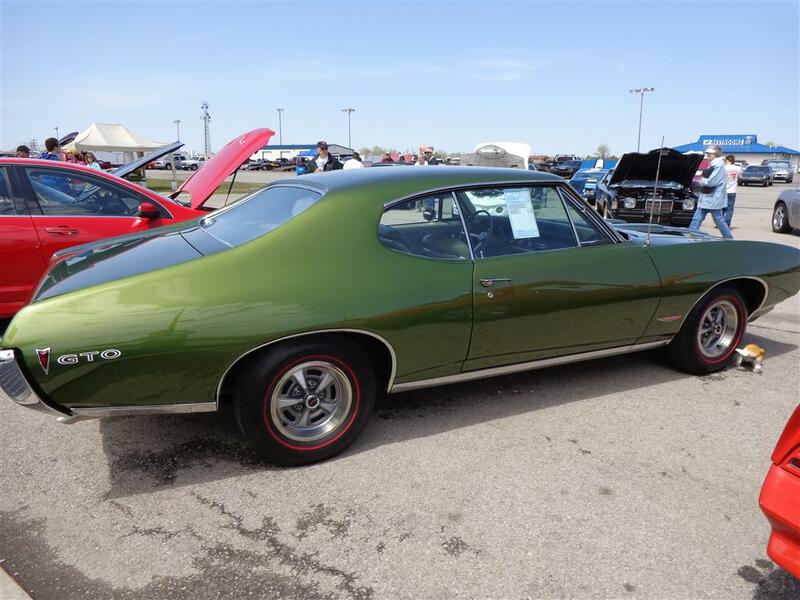 Jim purchased this classic Pontiac GTO Hardtop Coupe in 1972. When Jim and Mary were married in 1973 they drove the Pontiac to Colorado Spring, Colorado on their Honeymoon. 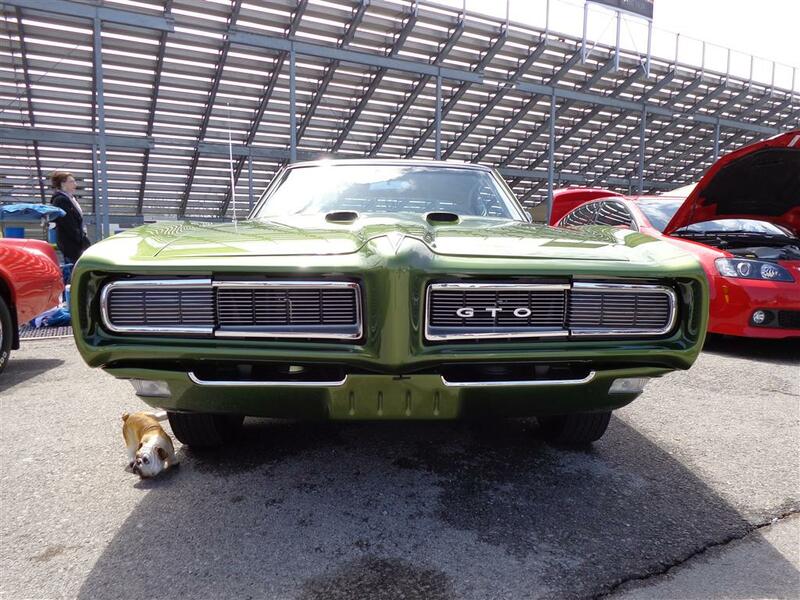 The GTO was Jim’s daily driver for two years. Jim began a new job with Day Ford of Enid and working for a Ford Dealer may have caused Jim to think about getting a different car to park in front of the local Ford Dealership?!?! 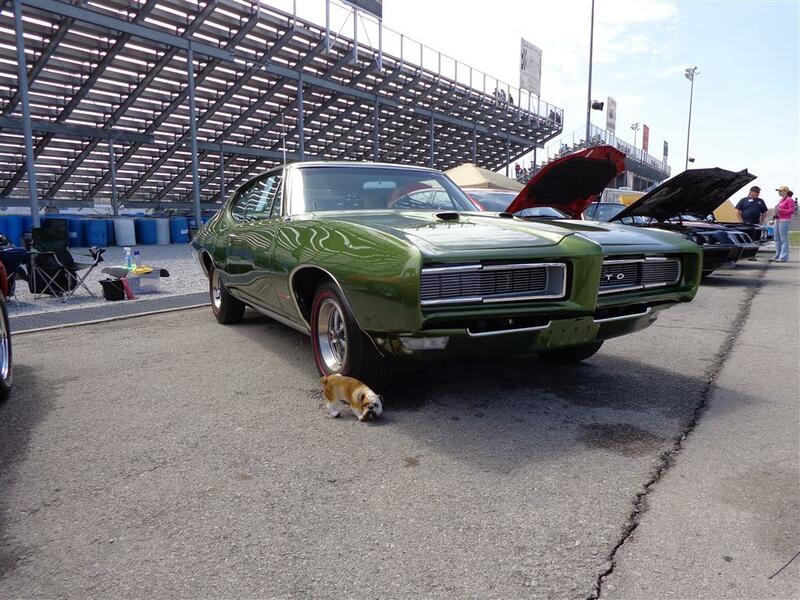 Jim then sold the GTO to his younger brother who was still in high school. Jim’s younger brother continued to drive the car while attending high school and for the first three years of college. After a serious accident the younger brother put the car in storage for ten years. Now pay attention, by now Jim’s other brother wanted the GTO and purchased it from the younger brother, who used the car as his daily drive until 1995. In 1995 Jim bought the old Pontiac back from his other brother and now the GTO had made a complete circle belonging to each of the three brothers! In 1995 Jim and Mary decided to do a complete frame off restoration. This renovation project was completed in 2011 and you can plainly see it was well worth the time! 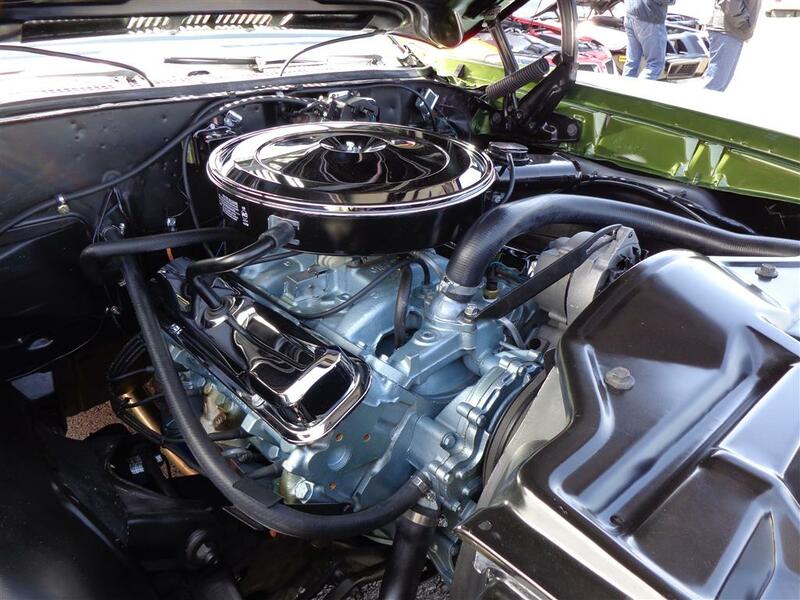 This immaculate GTO is powered by a Pontiac 400 cubic inch engine which produces 350 horsepower and 445 pounds feet of torque. The transmission is a manual four speed. 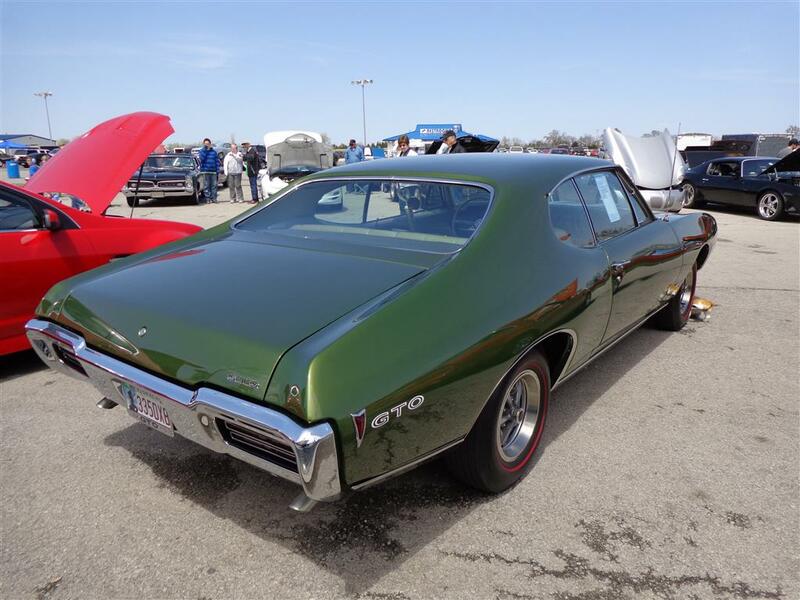 The paint is the original Pontiac Verdoro Green with beautiful matching green interior. Notice the factory Deluxe Trim on the control pedals. 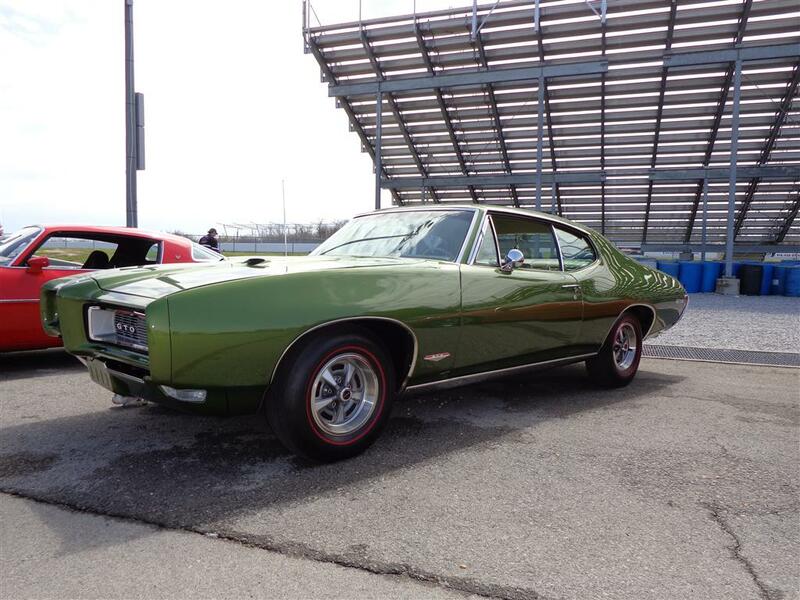 This beautiful GTO was originally purchased from Norton-Stuart Pontiac in Enid Oklahoma. 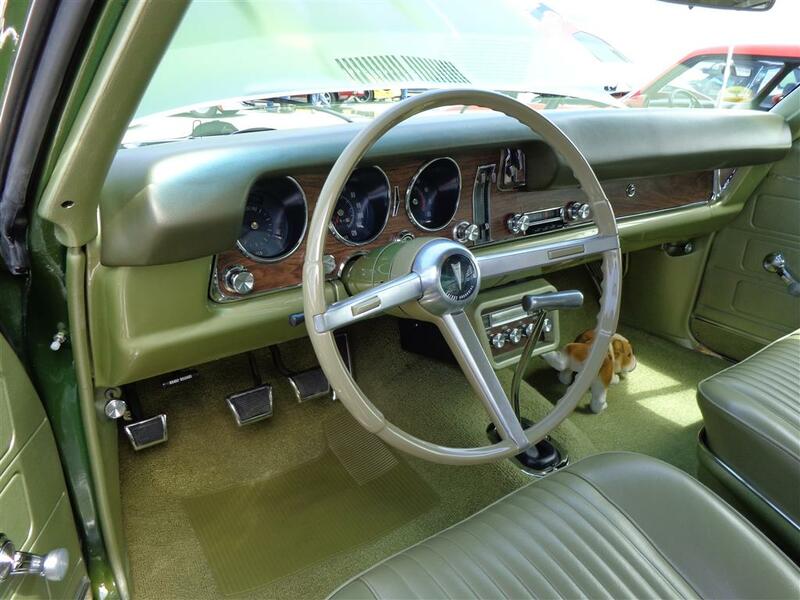 The original factory equipment included: AM Pushbutton Radio, Stereo Tape Player, Retractable Headlamp Covers, Custom Seat Belts, Power Steering, Soft Ray Glass, Recessed Windshield Wipers, Deluxe Steering Wheel, Heavy Duty Shifter, Duel Exhaust, Dual Horns, Color Matched Carpet, and special body molding. 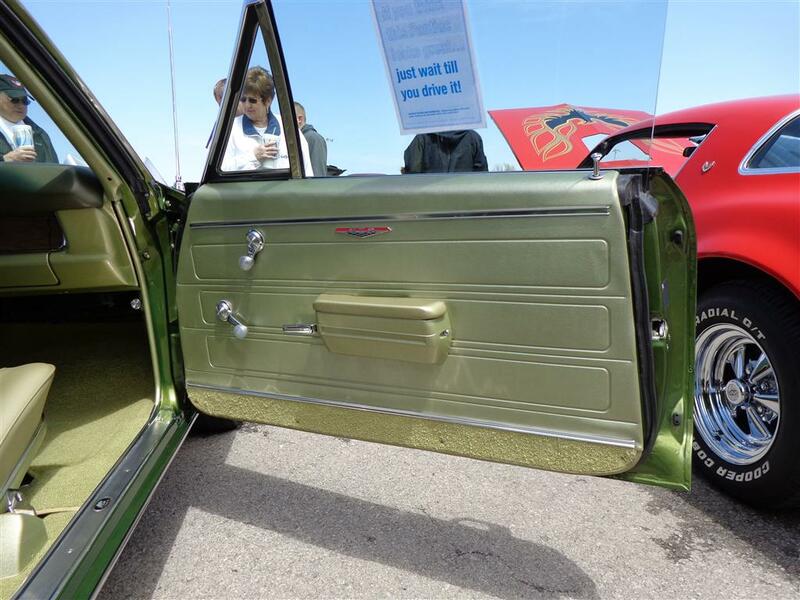 The door jams and panels on this beautiful GTO are better than factory fresh! The trunk area was not forgotten, right down to the correct factory decals on all the original equipment. 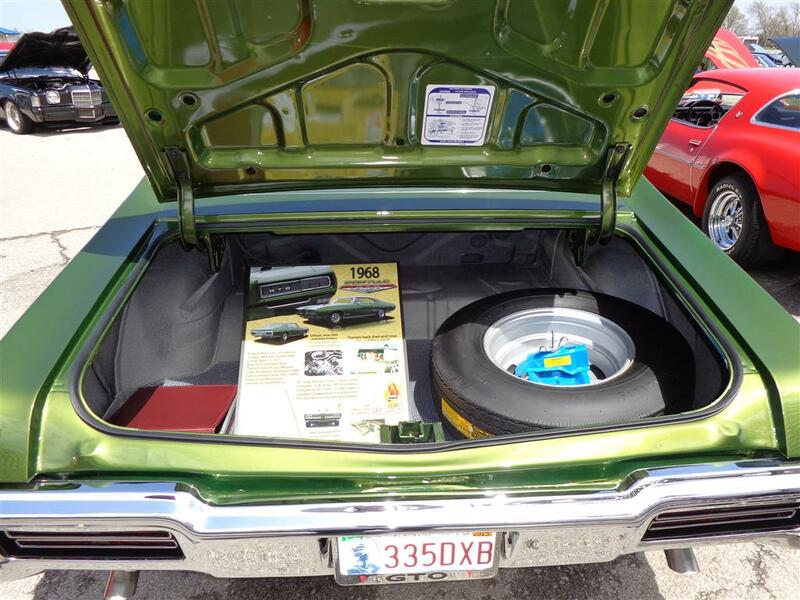 Jim and Mary had a custom show board made, which highlights all the details of their classic Pontiac GTO Coupe! 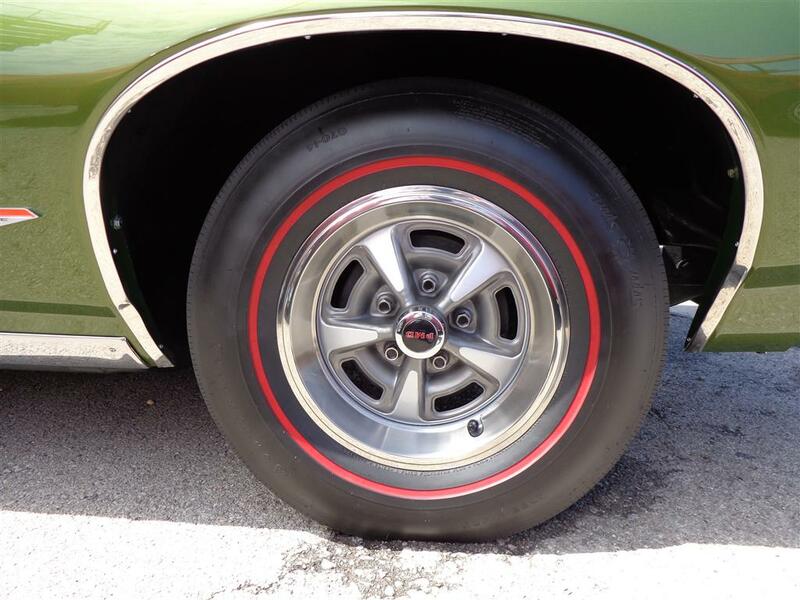 This factory fresh restoration sets on the restored original Rally II Wheels and Red Line G70/14 Tires. 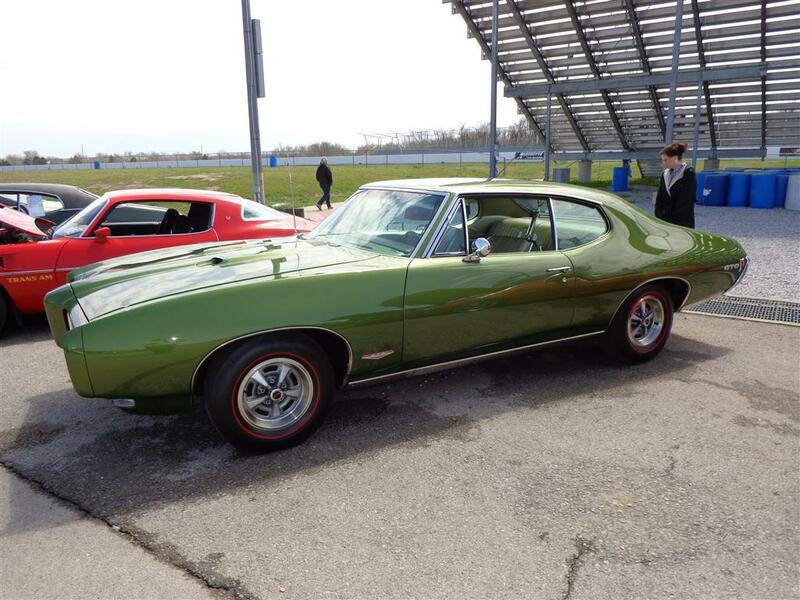 The Cimarron Starlite Cruisers sincerely appreciate Jim and Mary Isbell for sharing their classic 1968 Pontiac GTO as our Great Oklahoma Classic for April 2013!